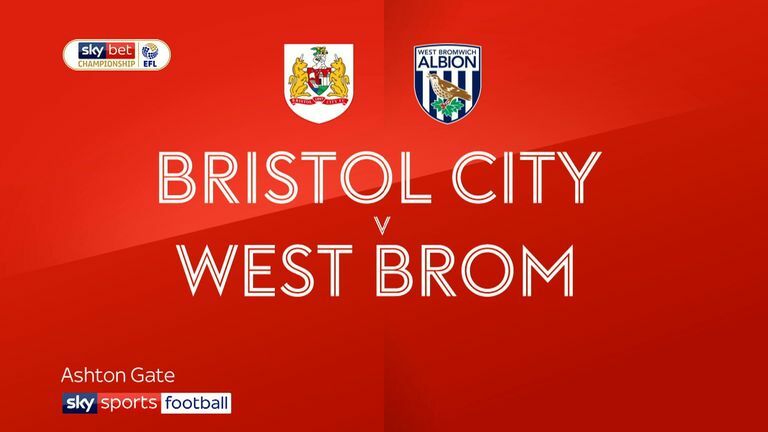 Bristol City race into three-goal lead and then hold on in second half as West Brom threaten comeback at Ashton Gate. 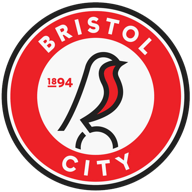 Three early goals set up Bristol City for a thrilling 3-2 victory over West Brom at Ashton Gate to boost their Sky Bet Championship play-off hopes. Inside only two minutes Marlon Pack caught Jake Livermore in possession, allowing him to pick out Andreas Weimann, whose low cross led to a clinical low finish from Josh Brownhill. City doubled their lead after 16 minutes. Brownhill's long throw from the right was cleared back to him, and he headed across goal for Weimann to net with a close-range volley. With Albion reeling and Ashton Gate rocking, Jack Hunt then headed home Jay DaSilva's 19th-minute chip from the left to the far post to leave City fans were in dreamland. Albion fought back in the second half, with Dwight Gayle glancing home a Stefan Johansen free-kick in the 48th minute. When Jay Rodriguez scored from close range on 74 minutes after Craig Dawson nodded on a Gayle long throw the visitors sensed a reprieve but they could not find the equaliser. City's breathtaking start might have brought even greater reward as Niclas Eliasson fired over on nine minutes when he should have done better from Famara Diedhiou's pass. Head coach Johnson had switched centre-back Adam Webster to a new midfield role, recalling striker Weimann, surprisingly fit again following a foot injury, and winger Eliasson. It took Albion half an hour to recover from the shock of conceding so early, with City goalkeeper Max O'Leary doing well to tip over a Kyle Edwards free-kick and save a low shot from Dwight Gayle. At the other end, Sam Johnstone dived to smother a long-range effort from Marlon Pack and the Albion 'keeper had to be alert again to deny Eliasson and Nathan Baker as City continued to carve out chances. Eros Pisano, a 26th-minute substitute for Hunt, who had been booked, did well to block a Gayle shot on the stroke of half-time and Albion left the pitch to boos from their travelling supporters. Those turned to cheers when Gayle pulled a goal back. But it might have been 4-1 on 57 minutes when DaSilva burst onto a Brownhill pass and saw his low shot hit the far post. Diedhiou fired just over as City wrestled back the initiative. But it was a much closer contest as Gayle saw another effort deflected over. 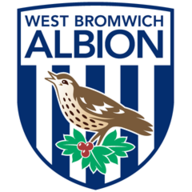 Both sides had further chances before Albion applied late pressure only for O'Leary to distinguish himself again with a diving save from substitute Kieran Gibbs. Three wins and a draw from four games since the international break have stamped City as genuine promotion contenders. Lee Johnson: "I've been on the treatment table with the doctor! What a game! It could have finished 7-5 there were so many chances The first 20 minutes were as good as it gets from us. I just wish the lads had let me enjoy it for the rest of the game. Instead, we gave away two disappointing goals. "No one expected us to challenge for promotion this season and that means we can play without fear. I keep telling the lads that. Now it's on to Aston Villa on Saturday and that's another fantastic prospect. They are on a great run, but so are we and there is no reason to fear anyone." James Shan: "I am a confident coach and feel we are playing well. But if the club felt more stability would be created by bringing someone in from outside I would support that. We defended too softly at the start and they had more aggression. Teams have looked to start fast against us because we came down from the Premier League and we have tended to concede goals early on. "We need more of a no-risk policy with the ball, which we have talked about, but that wasn't the case today. We have to start with more intensity. Our route to promotion now looks to lie with the play-offs, although we will keep on fighting to go up automatically while it is still possible."